« Sour Red Bell Peppers! The first time I ate a piece of this cake I actually was in the Black Forest, Germany. We stayed in a very typical Black Forest Hotel where the balconies and windows overflowed with flowers. The girls who worked in the hotel all wore “Dirndln,” a dress that is typical of that area. After having enjoyed our first meal I could not resist a slice of a Schwarzwalder Kirsch Torte, and with the very first bite I felt I was in heaven. I had never eaten anything so light, so flavorful, so chocolaty, so creamy, so wonderful in my entire life. I knew that when I got back to America that I had to recreate this heavenly cake. It took a while to find a recipe, not only one but several, and I tried to recreate what I ate in the Black Forest. Every time I baked this particular cake I felt it missed something that I still had not discovered in any of the recipes that I tried. All the cakes were delicious, but not what I remembered when I ate it for the first time. After a very long time I made it recently for a gathering of culinary friends…and when the cake was cut at the event I took the very first slice. With a fork I took the first bite and slowly let the flavors fill my mouth while my feet felt like dancing and I burst into a smile that I could not hold back, the cake was what I remembered from long ago. until cake tester comes out clean. When in season use fresh cherries. Marinate cherries in Kirschwasser for about 15-30 min. Cake can be made/filled one day ahead and refrigerated. It is best to bake the cake 1 or 2 days ahead and filled/assembled one day before the party. It needs to be refrigerated 2 to 4 hours before serving. Find me on Face Book! and Pinterest! Where did you eat a Black Forest Cake for the first time? Maria, thank you for sharing the recipe. 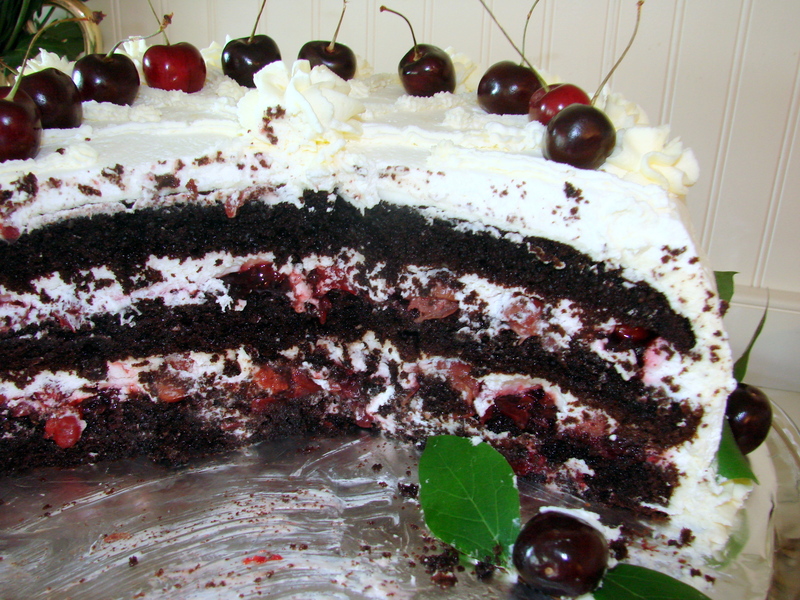 I always love black forest cake and this time I will convince myself to bake it with your recipe. 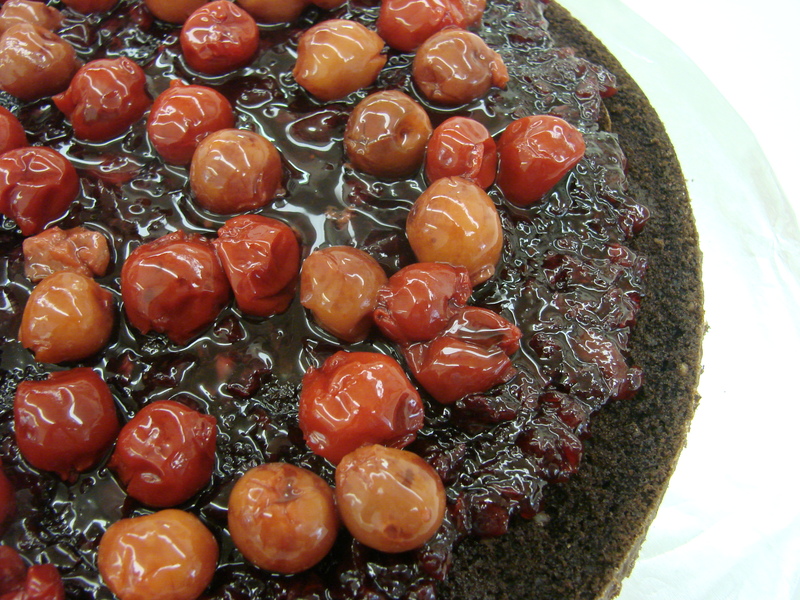 Hi Pranee……so nice of you to drop me a line….did you make the Black Forest Cherry Cake already?????????? Hope you did – it is delicious….big Hug! Maria! I have a neighbor across the street whos husband adores black forest cake, and, asks for one each and every year for his birthday! She’s always looking for the perfect recipe… I am sending Carol to your website! Melanie….thank you for your very nice comment….and thank you for sending your friend – Carol – to my website….You are very kind…big hug to you! My dear Caterina….yes, I would have loved your opinion after tasting this cake….you being a pastry chef “par excellence” !!!!! Love and hugs! I have never seen a Blackforest Cake looking as good as yours! Merisi….sooooooooooooooooooooooooo nice to see you here….I am happy that you stopped by…..I wish you could have tasted this Schwartzwalder Kirsch Torte….I think you would have liked it….It was soaked with Kirschwasser…after every bite one felt happier…..
Maria Dear – GOD BLESS YOU! 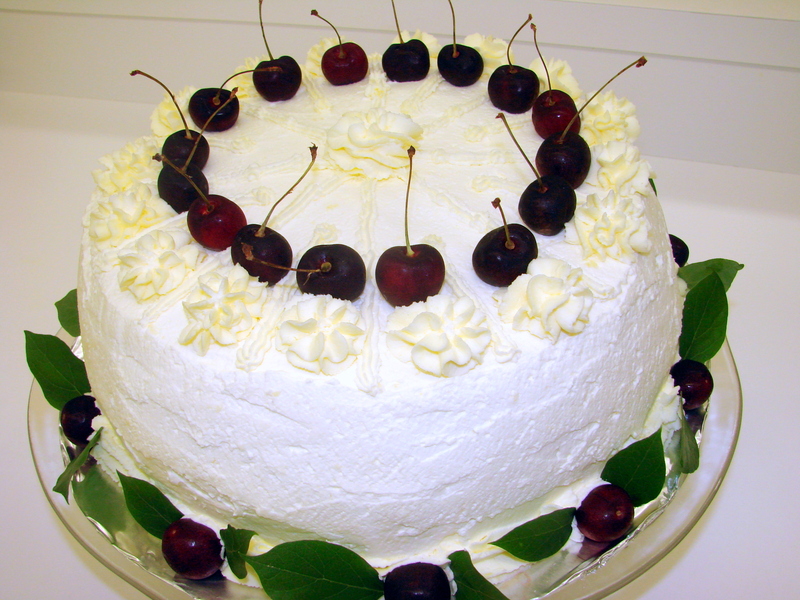 I grew up on black forest at every birthday and have been searching far and wide for a recipe I can trust. Thank you for sharing! I am making this as soon as we near another birthday – SOON. I do have to ask, can I use a chocolate cream (can you tell me how to do this?) or is it more authentic to use the cream you have suggested here? Devaki….it is traditional to use whipped cream…..but – why not be inventive…? I would use the chocolate cream between the layers and then ice it with whipped cream….this way you would bring out the chocolate more…. it’s fantastic. 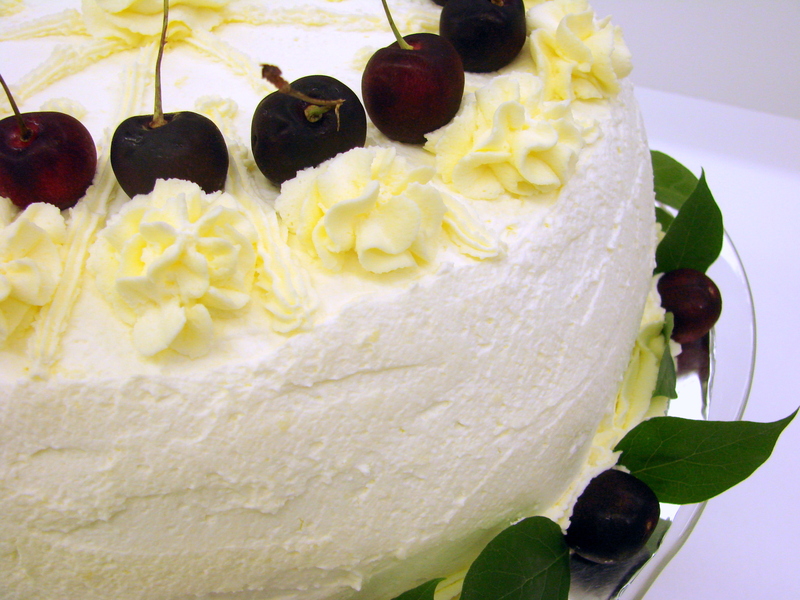 Your Black Forest Cherry Cake are adorable! Dear Maria – I so enjoy your lovely pics, recipes, and all that you do to keep good baking alive and well. Thank you. Always such mouth-watering photos and recipes! I really do enjoy your stories and photos that you post. You have such talent ………… I am so glad you take time to spread the joy! You bring smiles to many people with your posts! Thanks for making me smile!. Just wanted you to know I made the Schwarzwalder Kirsche Torte you distributed a few weeks ago and it was a big hit. I followed the recipe exactly, except the first cake I made was not high enough to cut into thirds. So, I made a second one and used three halves. Took it to a dinner party where everybody loved it. The last half I made for us with my left over cherries and RediWhip—also delicious! Good recipe! Thanks! Hi Gail…..I am so happy that you made the Schwarzwalder Kirsch Torte….it is a most delicious cake…and I am very happy that you find the recipe easy to follow….yes, about the 3rd layer….I usually have to bake a second cake as well…..I need to add this to the recipe…not everyone is as quick in thinking and experienced in baking to turn around and quickly bake another cake…I am so pleased that you did ….